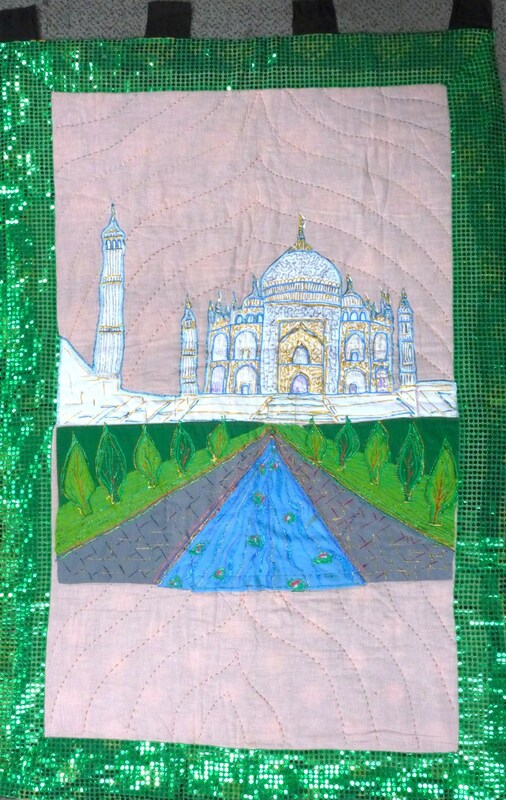 Main figure: The Taj Mahal with pool and garden on a light pink background, green gauze border with glued sequins. 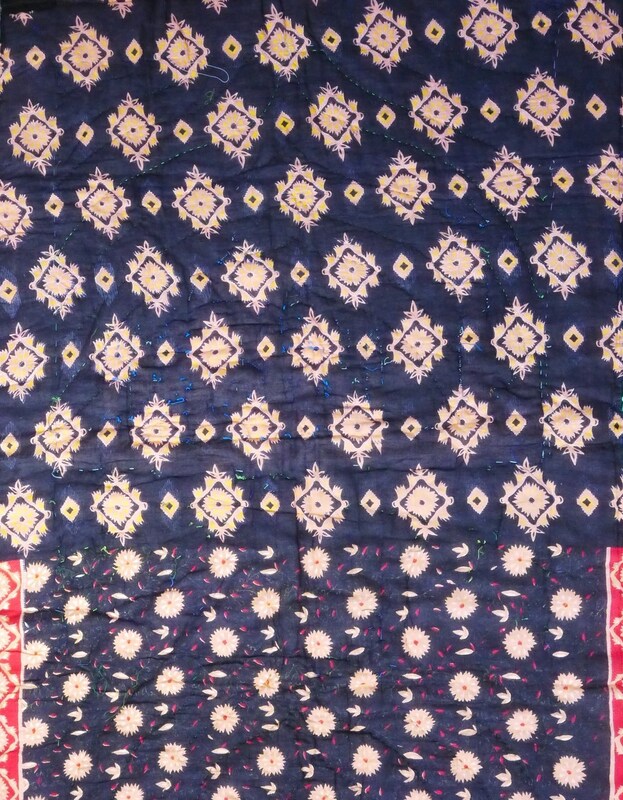 Backed with silk sari material, dark blue with white and red print. 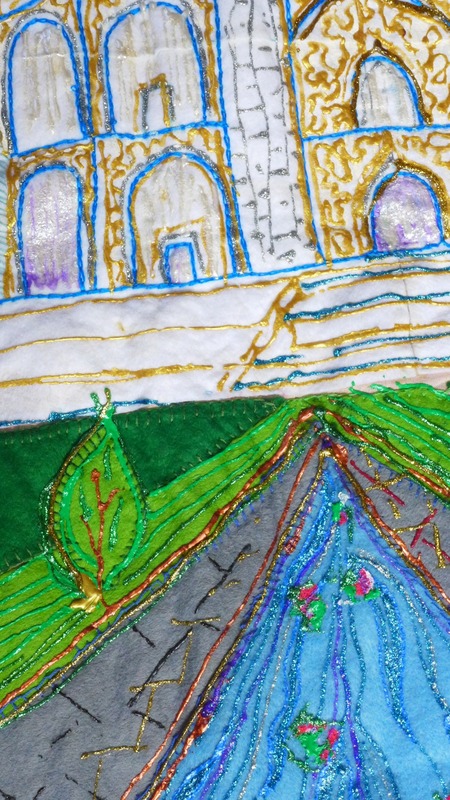 Backed with silk sari material, dark blue with white and red print. Four black cotton hanging tabs at the top.